Chef Jessie Lugo was born and raised in El Paso and Arlington, Texas in a restaurant family. She started on her culinary career the way that many outstanding chefs begin…at home. Her first job, at age 16, was as a dishwasher at her grandmother and uncle’s restaurant. La Cuesta. Her dad told her, before she accepted the job, that if she was serious about wanting to cook for a living, she needed to experience the hardships of the kitchen and work her way from the bottom up. She believes he was right. With the support and encouragement of an early chef-mentor, Jessie took a leap of faith and enrolled in culinary school in San Francisco. She earned an Associates Degree in Culinary Arts & Management from Le Cordon Bleu, California Culinary Academy in San Francisco and began to immerse herself in the Northern California food culture. 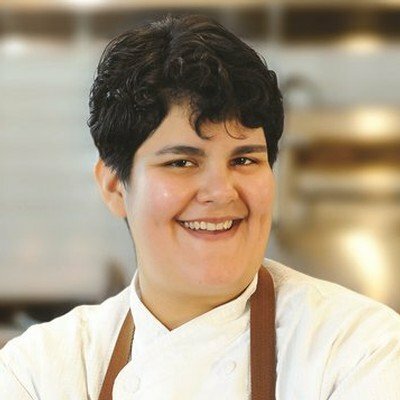 Suzette Gresham, chef / owner of Michelin starred Acquerello in San Francisco made a significant impact on Chef Lugo’s burgeoning career. A staging opportunity at Alexander’s Steakhouse SF drew her to the potential of whimsy in the creation of technical, luxury- ingredient based food that she truly embraced. She discovered that fine dining could be fun, creative and, above all, delicious. “Consistency is key, mistakes happen but recovery is imperative and teaching is its own reward”. Chef Lugo has earned the Executive Chef position at ALX, a new Alexander’s Steakhouse gastropub concept, set to open in San Francisco in mid-July, 2018. She will be the driving force behind the locally sourced menu and the vibe while working with master mixologists and craft beer artisans to create a uniquely Bay Area hot spot for foodies and locals alike.